Jurors get charged up about plug-in hybrid. 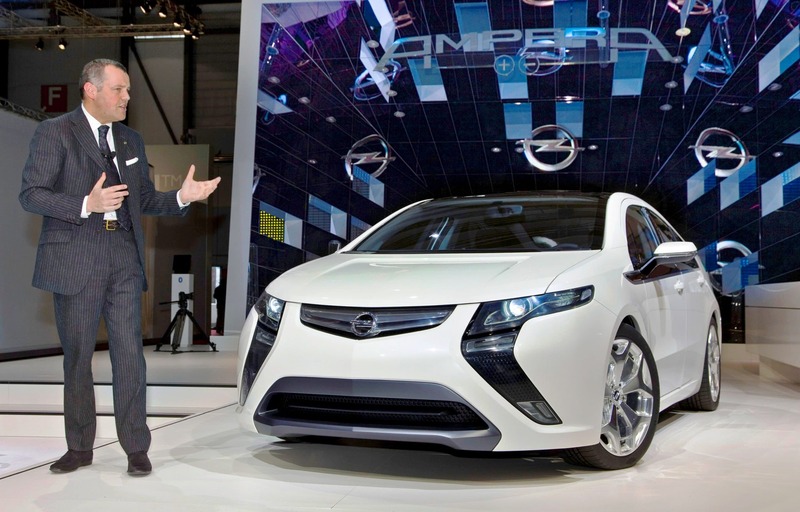 The Opel Ampera made its debut in Geneva three years ago but finally reached market just last month. 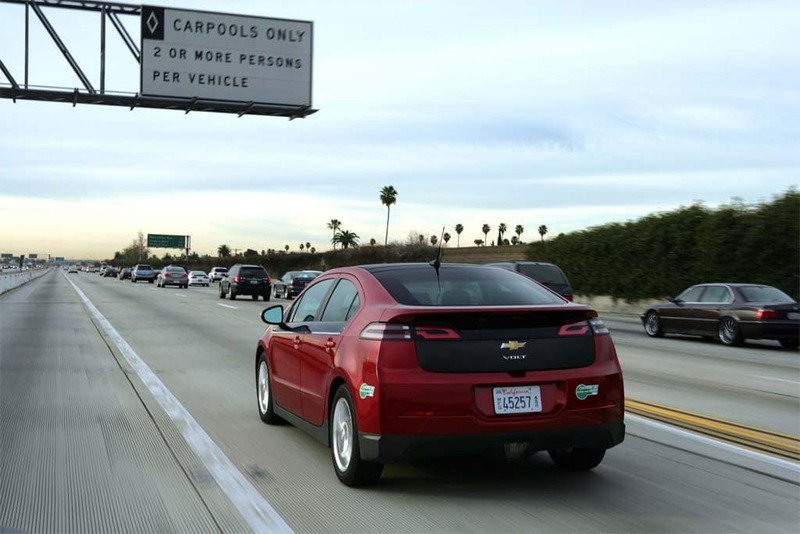 It’s been a tough year for the Chevrolet Volt, General Motors’ once-celebrated plug-in hybrid. But perhaps it’s about to see its fortunes turn as a jury of Continental motoring journalists declare Volt and its Opel Ampera sibling the European Car of the year. That victory comes 14 months after the Volt took North American Car of the Year honors – but, oh, how much has happened in-between. Just last week, GM announced it will shut down production of Volt and Ampera for five weeks due to excess inventory, a problem exacerbated by reports that several Volt battery packs caught fire after U.S. crash tests. But while that – and a controversial hearing by a U.S. House subcommittee — might have briefly short-circuited Volt sales, it didn’t seem to unplug enthusiasm among European journalists. The 59 members of the European Car of the Year jury awarded Volt 330 points, nearly 20% more than its nearest competitor, the Volkswagen Up!, with 281 points Ford’s newly-updated Focus came in third, with 256 points. 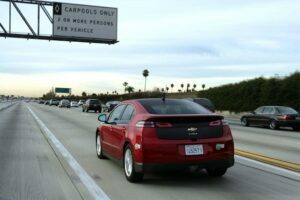 GM is hoping to build demand for the Chevy Volt in California now that the plug-in has access to the state's coveted carpool sticker. If anything, the EUCOTY award comes as double vindication for the Chevrolet Volt, which saw its chief rival, the Nissan Leaf, take the annual award – which is handed out just prior to the yearly Geneva Motor Show – in 2011. The launch of the European version of the Volt, the Opel Ampera, was delayed several times and only began last month. GM claims it has so far received 7,000 advance orders for the extended-range electric vehicle, with a target of selling 10,000 in Europe this year. But all bets are off on where sales will actually come in now that GM has plans to shut down the Detroit assembly plant producing Volt and Ampera for five weeks starting on March 19th. The problem is primarily due to excess inventory in North America. Sales fell about 20% short of a 10,000 unit target last year, though momentum was building in the final months of 2011. But that was before word leaked out that two Volt battery packs had caught fire weeks after being crash-tested by the National Highway Traffic Safety Administration. It now appears NHTSA was at least partially to blame for failing to discharge the batteries after the test, much as the agency drains gas tanks on wrecked vehicles, post-testing. GM announced minor changes to the Volt design to further reduce the risk of problems and federal regulators then ended an investigation into the problem. But hearings on Capitol Hill went ahead – in part serving as a medium for GOP lawmakers to again raise questions about the 2009 bailout of General Motors. February sales of the Volt rebounded by 60% — but they are still well short of what would be needed to meet GM’s initial 2012 target. The maker had hoped to produce 60,000 Volts and Amperas this year, 75% of them bound for the U.S.
At the current rate, even with a strong showing in Europe, demand would likely miss that by at least half. It remains to be seen whether the latest award for the Chevy Volt will help revive its momentum while also boosting demand for the new Opel Ampera. This entry was posted on Tuesday, March 6th, 2012 at and is filed under Automobiles. You can follow any responses to this entry through the RSS 2.0 feed. Both comments and pings are currently closed.